In April 2012 Evgeny Masloboev and his daughter Anastasia flew to Moscow from Irkutsk in Siberia (8 hour flight) to record with the best Moscow musicians. In the process of recording the musicians realised that they had to blend together several things - folk music, improvised music and live electronics. The results are something very new, very original and utterly breathtaking. 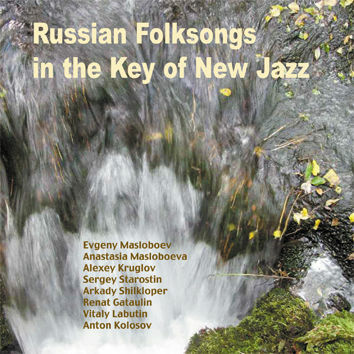 Anastasia Masloboeva - voice, cymbalo; Evgeny Masloboev - drums, percussion, metal objects, Alexey Kruglov - all sorts of saxophones; Sergey Starostin - Russian folk wind instruments; Arkady Shilkloper - French horn, Alpine horn, Renat Gataulin - piano, synth; Anton Kolosov - bass guitar; Vitaly Labutin - el. guitar.